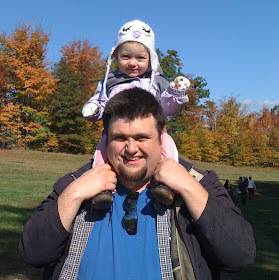 Those who follow me know that I started caching by following the posts my buddy Dave made about caching with his family. As I've been getting more and more into the game, sport and obsession known as Geocaching (shout out to HeadHardHat) I've been telling all my co-workers about it. Bit by bit one of my coworkers has been asking more and more questions about it. He was thinking his boys would like it. Last week we popped out on lunch to grab a cache. Despite coming up with a DNF he was hooked. In fact, he went back later that night with his son and DID find it. Despite being sick, after signing the log he turned to his dad and dripping with anticipation asked "Are there any more?" In fact, even his wife was saying "Pick me up after work so we can grab the one just around the corner". I even had him signing up for a Premium Membership the same day he logged his 2nd find. So far we've gone on a second lunch time cache run. But the scary part for me is that I think very soon he's going to surpass me in finds. I can hardly wait until my daughter gets older and we will be caching all the time. good work- get more people addicted! thats the way to get more and creative hides out there!